On the third day ‘fore Christmas my Arthur gave to me, a bad pain in my left knee. On the second day ‘fore Christmas my Arthur gave to me, two swollen ankles, and a bad pain in my left knee. Actually, to be strictly accurate, yesterday it was a bad right ankle, but that didn’t scan! Today’s verse is completely accurate, unfortunately. I had recovered nicely from the last flare after a few days, only to go down with a short, sharp and rather nasty stomach upset that put me in bed for a couple of days. This week I’ve been mostly OK, if a little stressed at work, and then suddenly on Wednesday everything at work went right, and I was unexpectedly able to finish for Christmas that afternoon – so hubby and I had a day out at Wells-Next-the-Sea on the North Norfolk coast. It was a glorious, sunny day – if rather cold – and we had a lovely time, except that as we were walking down the high street, suddenly I wasn’t … walking that is … or having a lovely time for that matter. I had a sudden and completely out of nowhere pain in my right ankle. ‘It’ll go in a minute,’ I said cheerful. ‘These sudden ankle pains always do. Let’s pop into this bookshop and get out of the cold while it gets better.’ Several minutes later and £20 lighter, the ankle hadn’t got better … although I had gained a rather fun read and got a little pressie for hubby too. So we walked (I hobbled, hubby walked) down to the harbour and had fish and chips while we waited for the ankle to mend … and it did … or so I thought. We had a lovely walk down the harbour wall but decided not to risk going the whole way (it’s a mile each way) in case the ankle went again. The sun shone, the lapwings called, the gulls squawked, the starlings sang beautifully in the hopes we’d feed them chips, and all was delightful. Then when I got home the ankle started to twinge again. ‘It’ll be fine by the morning,’ I said confidently. (I don’t learn, do I?!) This morning it wasn’t terrible but it wasn’t good. This afternoon I decided to have a bath and see if that helped. It didn’t. By the time I got out of the bath BOTH ankles were flaring and I had knee pain too. And that’s where I’m at now. On the bright side, I finished a felt picture I’ve been working on for a while and the hair dresser is coming soon so I can look slightly nicer than usual (not hard) for the first day of Hanukkah and then Christmas Day (aka 2nd day of Hanukkah this year), so it’s not all doom and gloom. RA Blog Week Day 2: Active or Reactive Patient? Well, what a dismal excuse for a blogging penguin I am! 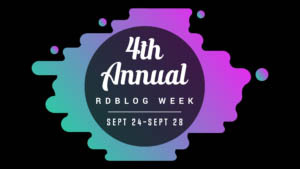 I completely forget that yesterday was day one of RA blog week. I guess this makes me a reactive blogger, or at least definitely not an active one, but now it’s day 2 and we’re discussing active versus reactive patients. Well, I’d like to think I’ve been an active patient from day 1 … that’s what I’d LIKE to think … and indeed I was already looking into RA and researching it before I was diagnosed, because the GP had suggested it as a possibility and I wanted to find out more. Pretty active, eh? Maybe too active? Maybe I was filling my head with RA concerns and worries, and RA symptoms that I might then convince myself I had? I don’t think that was the case though – I think it’s important to know as much about the disease as possible, as soon as possible – although having said that, there’s so much info out there of, shall we say a less positive nature, that it can be pretty scary! It’s important to remember that most people with only mild RA, such as myself, have other things to do than write about the fact that they’re actually pretty OK most of the time and have nothing much to say! Consequently the really useful and important blogs out there, and other patient inputs, such as the Health Unlocked network, are written by patients with serious problems and severe RA. Having said that, I think I’m still pretty active. I’m still prepared to fight with the GP for a steroid shot when I’m darned sure that’s what I need … and I’ve been proved right so far. And I’m still interested in the disease from a standing back and looking at the biology, being fascinated with the latest research and possible cures on the horizon point of view. I think this is a rather different picture of the ‘active patient’ than the one painted by many of my US blogging friends. The US health system is as badly flawed as our I think, but in very different ways. IF you have got health cover and can maintain it, you’ve probably got a relationship with your rhemmy doctor and can see them when you need it (or within a few days not a few months). If you go in with a list the doc is impressed whereas here they just roll their eyes and groan. But fundamentally to my mind an active patient is one who takes control of their RA as much as possible, and not just on the purely medical, drug-related, front, but also doing what we can to control it and minimise impact – such as exercising whenever possible, eating sensibly etc. Why haven’t I talked more about that? Because I’m a bit rubbish at it! I have been trying to get a 1.5 mile walk in at lunchtime though – sometimes it’s only 1 mile, sometimes it’s half a mile, but at least I’m trying! As to eating … let’s not go there in this post. It’s something I do rather too well! First of all thank you to Healthline for selecting my blog as one of the best arthritis blogs of 2016, and congrats to my online (and in Carla‘s case actually met in person) friends who also achieved one. Good to see so many old friends listed, as well as Carla, Wren, Cathy, Andrew, Amanda, Kelly and ‘Warm Socks’ also feature, and there are other blogs on there that I’m not familiar with and should take the time to get to know! Now on to the body parts! My last post, a couple of weeks ago, stated that my knee was messing around again. Well I suspect there’s a little bit more permanent damage done each time I have a flare, and that knee has a lot of flares, but now it’s not not bad at all. Most of the time I’m having no problem – so long as I don’t walk into the printer table and bruise the precise spot that I flare in, as I did last week! Then last weekend my ankle suddenly went ‘weird’. I can’t think of a better way to describe it. It hurt in the night and when i got up in the morning it was really painful. There was a big swelling but not really over the ankle, rather at the front of the leg above the foot, but absolutely no heat. I used my Physicool ice bandage anyway and that helped. It stayed painful and difficult to walk on for two or three days and then it was magically better. I really don’t know what that was about or if it was RA or not – I just hope it doesn’t come back. As to the brain, such as it is, it has been subjected to a lot of migraines lately, and although I have tablets that, if I take them in time, get rid of the head pain, I’m still left feeling unwell. Work is insanely busy at the moment, which is contributing to stress which in turn is probably contributing to migraines – a bit of a vicious circle as if I have to take time off for migraines then work gets even more hectic! However, yesterday, for the first time in a couple of weeks, I actually felt well, normal and full of energy – hence finally getting round to post! I’m not QUITE so full of energy today but not bad. I think getting outside in the sunshine made a big difference! We went for a nice long walk along the seafront at Cromer on Friday evening and then yesterday morning I did some gardening and washed my car with hubby (for which read watched and occasionally waved a shammy over the car while hubby did the hard work) – thank you dear! I’m just hoping this energy boost will last me through the next hectic week – because next Saturday I’m going to need to work or I’ll never fit everything in! Well, yes, the knee flare was completely over … for a few days. I was just getting back into the swing of things, gradually building back up the length of my lunchtime walks from a few hundred yards to half a mile, to three-quarters of a mile … thinking I’d soon be back to the mile-and half … and then I woke up in the middle of last Friday night thinking ‘Ouch!’ I’m telling myself it’s not really flaring this time … I haven’t decided yet whether I’m lying to myself. I certainly don’t want another dose of prednisolone just yet… if they’d even give me one, which I doubt. Having said I never have side effects, Carla happened to mention that sleeplessness and irritability are major side effects of pred, and guess what… I had a really sleepless and irritable week while I was on it – I just failed to attribute it to the pred. Now it all makes sense. And OMG, the night sweats!! I had no idea that was a side effect and I get hot flushes anyway so I just thought, ‘Coo, bad hot flushes, much worse than usual!’ I was slightly worried that this was more than hot flushes as the ‘sweats’ part was a whole lot more dramatic …again, I hadn’t realised this is a common side effect of the pred. Now I’m still ALL for the steroids – the side effects, now I realise that’s what they were, were horrible, but the flare was much, much worse. The side effects I personally experienced were definitely the lesser of two evils and the pred let me carry on with my life and work, which I couldn’t have done without it. However, having said that, it does make the thought of another does quite unappealing if it can be avoided. This time round the knee’s not hot, it’s not especially swollen and it’s not actually madly painful … it’s stiff but bendable, so really quite different to the definite flare I recently experienced. Remember those knee-strengthening exercises I was doing, so that if I flared again I would have strength in the surrounding muscles and hopefully come out of it faster? No? Well you wouldn’t because I forgot to post about them. Unfortunately I have also forgotten to do them for the last few months, which is a pity really because I suspect that’s what the problem is now. As a horribly unfit person, having a bit over a week practically off my feet means I do need to build up those muscles etc. again and I think the minor pain and stiffness I’m experiencing is probably all about that. So, spend goodness knows how long fighting for a doc appointment, to be told, if I’m lucky, that they’ll refer me to physio, which will take six weeks minimum, by which time I hope I’ll have recovered anyway, or just carry on and hope? I’m going for the latter at the moment. Wish me luck! Hurrah – I finished my week’s worth of prednisolone last night and I’m glad to say the knee is better! Oh … and the helpline phoned me back … on Monday … so five days after I phoned them. Yeah, like I said, they really are NOT for emergencies! I didn’t actually get to speak to her as she phoned on the home number even though I’d requested they try me at work. ‘If you didn’t manage to speak to the doctor or need some advice, do call us back.’ I did see the doctor and didn’t need advice, so I haven’t called back. I’m still getting a bit of pain in that knee on and off, but then I usually do; I’ve got full ‘bendability’ in it and most of the time it’s not hurting, so I’m quite content … although I do feel as though I’ve just run a marathon, having been cheering on Andy Murray as I watched him (on the telly) fighting his way to the semifinals at Wimbledon!